Psychosis - What is Psychosis? 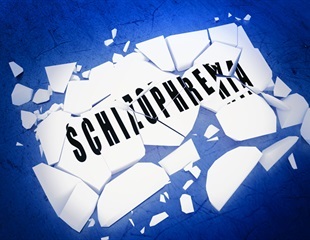 The research group led by Prof. Alex Schier, Director of the University of Basel's Biozentrum, has identified 30 genes associated with schizophrenia. With more and more states and regions legalizing the use of medical marijuana or cannabis, experts are also looking at the long term effects of marijuana use and its safety. According to a new study published this week in the journal The Lancet Psychiatry, frequent use of marijuana can lead to psychotic episodes. A new study has shown that at least 400,000 cases of adults with depression in the US could have been avoided if greater measures were in place to discourage teenage use of cannabis. The results of this new study were published this week in the latest issue of the journal JAMA Psychiatry. Patients with psychosis have accelerated aging of two brain networks important for general cognition—the frontoparietal network (FPN) and cingulo-opercular network (CON)—according to a new study in Biological Psychiatry. Marketing authorization of fexinidazole for the treatment of Trypanosoma brucei gambiense human African trypanosomiasis (HAT), more commonly known as sleeping sickness, has been granted in the Democratic Republic of Congo (DRC). Paranoia is associated with regular tobacco smoking in adolescents after accounting for other factors like cannabis use, sleep disturbances and stressful life events, reports a study recently published to the Journal of the American Academy of Child and Adolescent Psychiatry. A form of rare genomic structural variation called copy number variants (CNVs) may be more closely associated with schizophrenia than bipolar disorder. A new report published today by the Janssen Pharmaceutical Companies of Johnson & Johnson highlights that mental health services in the UK are falling behind physical health services, due to healthcare providers using outdated commissioning methods.